If you've followed my blog for a while, you'll know I have a weakness for homes on the Swedish island of Gotland in the Baltic. That's why I was really excited to come across this beautiful 19th century house. The owners have successfully renovated the property to embrace its history and at the same time bring it up to date. Think wood burning stoves, tiled masonry ovens, rickety stairs, original wood floors and traditional earthy colours blended with mid-century and modern day finds. The style is laid back, traditional and rustic. Welcome in! Photography: Jörgen Kristiansson for Fastighetsbyrån. Simply lovely, don't you think? Oh and it's for sale. I know. You can see more pics of this lovely home (as well as the exterior) here (just in case your mind's not already made up!). 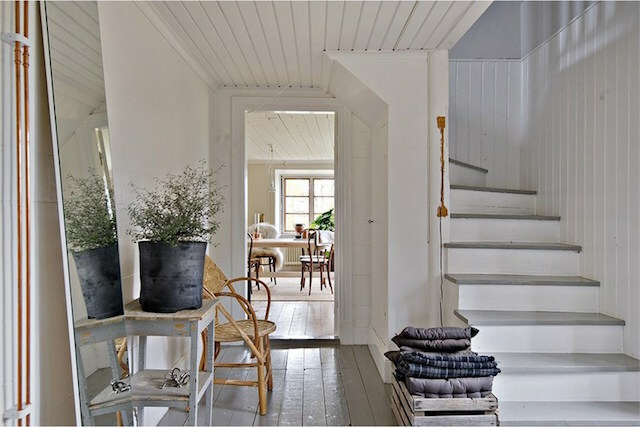 A few items I know and love from this Gotland cottage: dining area - Bentwood chairs, Gotland sheepskin throw, Klong oil lamp, source a beautiful vintage dough bowl here. Sitting room: chefs hat lamp, Gubi mirror. 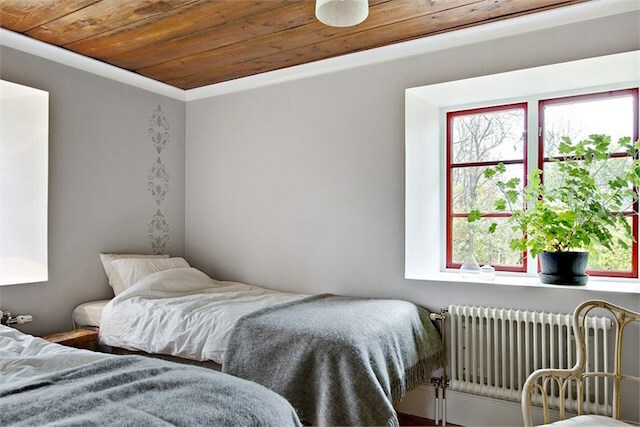 Bedroom: lampe gras wall lights. stonewashed linen bedding, dark grey quilt. 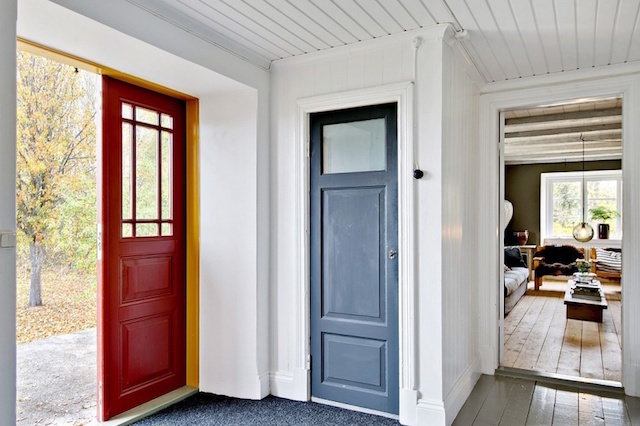 It would almost be unfair not to share some of my favourite Gotland homes from the past, don't you think? 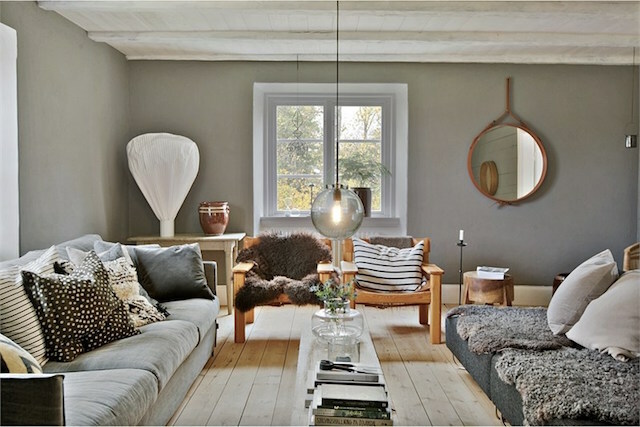 Here goes: a beautiful Gotland home in shades of grey, the bohemian sumer home of a fashion photographer and an idyllic island holiday home. Do you have a favourite style? My blogging constantly brings new challenges and this afternoon I have another first. I've got a photo shoot with my neighbour's poodle, Daphne. I've been told she's a real natural behind the camera (she comes from a family of models after all) but most of all I'm looking forward to her company - I'm sure we'll get a long just fine! This has home has taken me in a second! Do you know where I can find similar black and white striped pillows that are on the couch and chair?